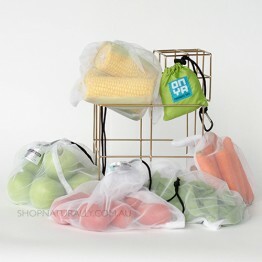 We have made giant strides in the war on regular shopping bags, but the plastic bags that fresh produce are put in are still readily available in both supermarkets and fruit shops. 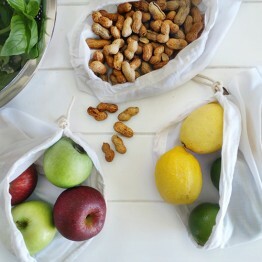 We have seen many fruit shops change to 'degradable' bags, which are actually worse for the environment, as they just break down in to smaller pieces of plastic and can end up washed in to waterways and our oceans. 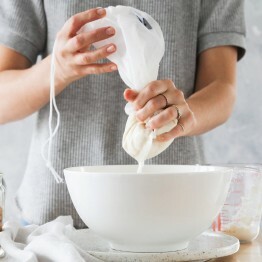 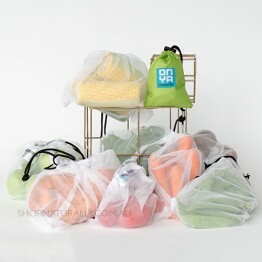 Stop this problem in its tracks by investing in a set of reusable produce bags. 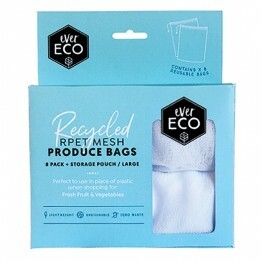 From Onya, the pioneers in this space, we have a range of nylon mesh bags that are made from recycled PET water bottles (the fabric is called rPET). Available in 5 packs and 8 packs in a variety of different coloured pouches. 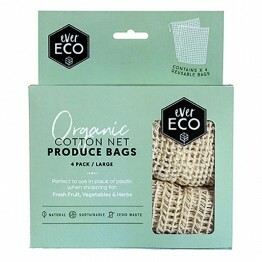 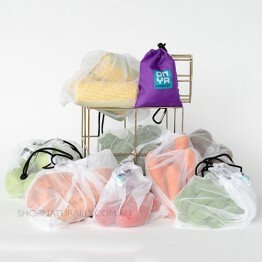 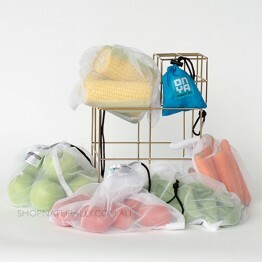 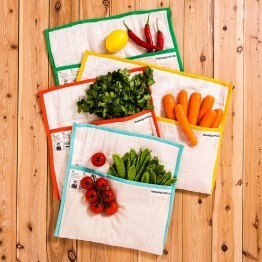 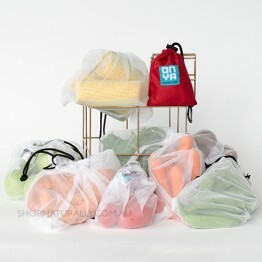 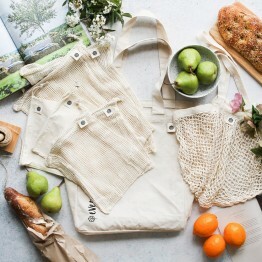 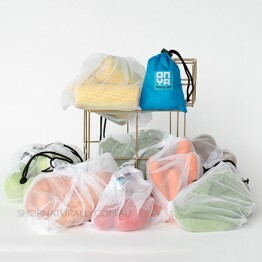 From Ever Eco, we have one set of rPET bags along with a variety of produce bags made from cotton. 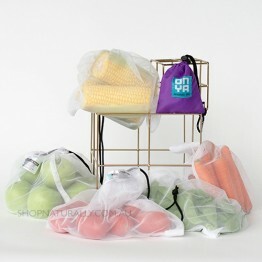 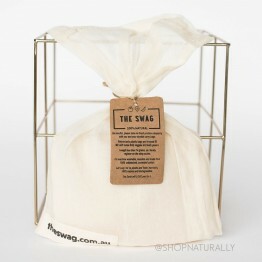 They are available in 4 pack in 4 solid cotton bags, 4 lightweight mesh cotton bags or a 4 pack with 2 of each. 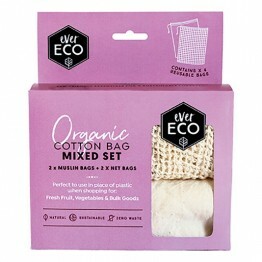 Ever Eco also have a beautiful Zero Waste starter pack that's great for the beginning of your own journey or to give to someone as a gift.